Blas Giraldo Reyes Rodríguez UPDATED, July 24, 2010 — Blas Reyes was released from prison in July 2010 under a deal between Spain, the Catholic Church and the Castro dictatorship. Diversions and distractions — that about sums up the news from Cuba this past week. First was the release of four political prisoners, each of whom had been arrested and sentenced to a long jail term during the "black spring" crackdown of March-April 2003. It was a welcome, wonderful development for the prisoners and their families, even as it failed to generate much coverage of the captives left behind. Chalk that up to careful stagecraft by the Cuban and Spanish diplomats who negotiated the deal, and a compliant, even ignorant international media. Any attention the release did spark for Cuban political prisoners was quickly swamped by the announcement a a few days later of Fidel Castro's resignation. The released prisoners were forgotten and more tragically, so were those who still in the gulag. If not for the three remaining viable candidates for the American presidency arguing that any U.S.-Cuba rapprochement must be preceded by, among other things, the release of political prisoners, we might not have heard anything about them. There are hundreds, if not thousands of Cubans imprisoned because of their opposition to the Castro dictatorship, whether of the fidelista or raulista variety. The best known are the members of the Group of 75 journalists, librarians, human rights activists and other dissidents arrested during the "black spring." As of last weekend, after the most recent releases, 55 remain. Among them is Blas Giraldo Reyes Rodríguez. An independent librarian, Reyes, now 52, was arrested March 19, 2003, and on April 4, was sentenced to 25 years in prison, for trying to "destroy the independence of Cuba," as "encouraged" by the United States, according to the dictatorship. 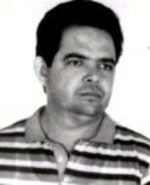 Mr. Reyes Rodriguez is an opposition activist and independent librarian in totalitarian Cuba. His life is dedicated to the proposition that the men and women of Cuba must be free: free to learn, free to worship, free to elect their leaders, free to enjoy their inalienable human rights. Independent librarians in Cuba, such as the one operated by Mr. Reyes Rodriguez, provide the indispensable service of circulating truth at a time when the tyrannical regime provides only propaganda. These heroic librarians often circulate the great works of anti-totalitarian literature, including the important writings of Vaclav Havel and Dr. Martin Luther King. Literature is a great danger to totalitarian regimes: books often provide the truth that tyrants seek to hide. In prison, Reyes has remained committed to his struggle for freedom and exposing the truth about the dictatorship and its prisons. Earlier this month, he described for a human rights groups overcrowded conditions at the Nieves Morejón prison, where he is being held. In one cell block, there are only 92 beds for 107 prisoners, being 15 have to sleep on the floor. There are only three toilets, one urinal, two showers and one sink. Remaining true to his principles carries consequences. In October, a common prisoner threatened to beat Reyes if he again removed pro-Castro banners from his cell. "This bed you sleep in is the revolution's," the prisoner said. Like other political prisoners, Reyes' health has deterriorated in jail. Last July, he underwent surgery to correct an intestinal ailment and treat hemorrhoids. Later today, the dictatorship will go through the motions of implementing "change" in Cuba, by replacing one dictator with another. But as long as Reyes and other political prisoners remain in the gulag, there is no change in Cuba, just the survival and continuation of tyranny. No amount of diversions or distractions will change that.